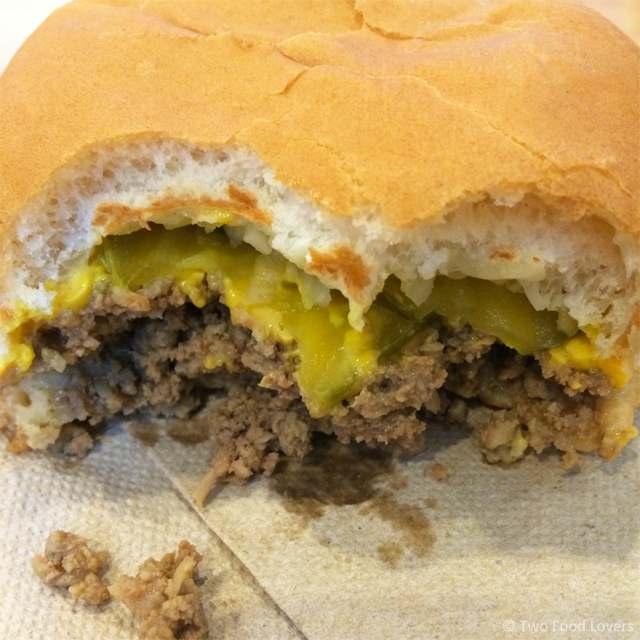 B&G's signature Loose Meat Sandwich is made from fresh Angus beef, smothered in cheese and topped with onions, pickles and a squirt of mustard. They are DE-LISH! Wash them down with a basket of crispy french fries and your favorite shake. Bear with us on the photos, everything was taken on my phone. This is the first of our Eat Local series. We will be sharing our favorite grub spots across the great states of Kansas, Missouri and Nebraska. Nebraska. Land of corn and beef. While those two staples are enough to make one want to visit, add in the city of Omaha and it becomes a "can't miss" stop. Dave quotes it as a "foodie lovers paradise." He says many other things ("it's the Promiseland"), but we won't get into that. For its size, Omaha has a large amount of eateries and drinkeries. Yes, that's a word. I made it. But seriously, Omaha is bustling with many undiscovered, underrated restaurants. We recently had a wonderful trip to Omaha . 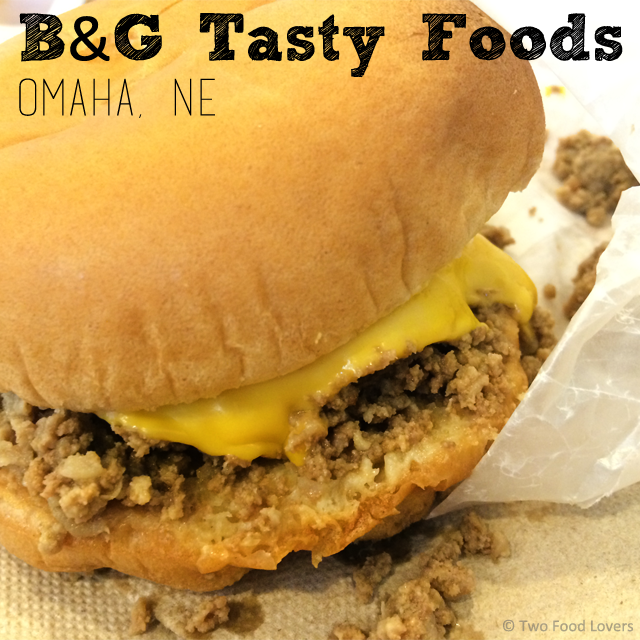 In addition to cheering on the Huskers, eating Valentino's Pizza at the football game, we also made a pit stop at B&G Tasty Foods. Their famous Loose Meat Sandwich was on the top of my "to-do" list. Forget chores. I have food lists. The atmosphere of this diner is adorable. It's the perfect balance of 50's retro diner decor, without being over the top. However, I have heard I missed out on all the clown paintings. Not sorry. There was only one clown painting in the restaurant, and it has history behind it, so I can respect that. The staff was incredibly friendly and efficient. Between the food and the atmosphere, the overall experience was fabulous! Don't expect to be waited on. It's a casual walk-up counter and very family friendly. This definitely makes our top Omaha restaurants list. So, what is a Loose Meat Sandwich? Think of it as a sloppy-joe, minus the sauce, but still messy. You may wind up with meat in your bracelet (don't ask), on your pants, sleeve, in your teeth, etc. Who cares? Bring a bib and chow down. These sandwiches/hamburger-hybrid are SO worth it. 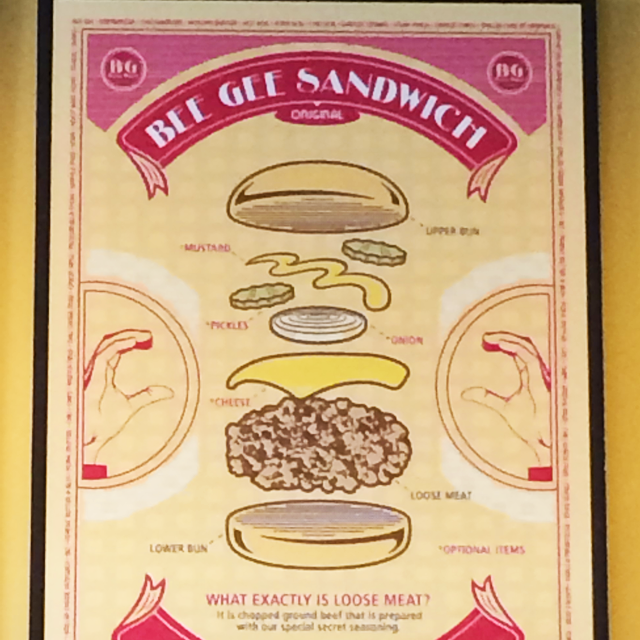 The anatomy of their sandwich is: bun + loosemeat + American cheese + onions + pickles + mustard + bun. It all equals one delicious, juicy, mouth-watering experience. I have no idea what they season that meat with. I honestly couldn't put a finger on the seasoning, but it tastes perfect. Not overly seasoned, you almost think it's not seasoned, but then it is. What happened? Mind blown. Actually, the mind blowing happened after the Peanut Butter Chocolate Shake. Holy heck. They brought that puppy out before my sandwich. Not a good idea. I still managed to eat everything though. There were many things I wanted to try, but my pants wouldn't allow it. Take the Cheese Frenchie for example. I absolutely wanted to stuff down a few bites of FRIED GRILLED CHEESE, but I just could not. The Cheese Frenchie is almost as famous as its Loosemeat brother. Almost. 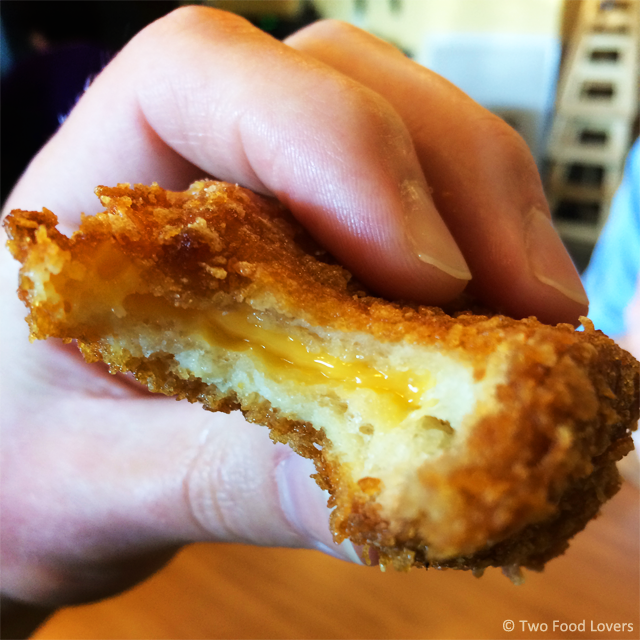 It's a grilled cheese sandwich, breaded in the most wonderful, flaky batter, deep-fried to crispy, crunch perfection. Once you take a bite, you are taken down a river. A cheesy, flowing river. Melty, gooey, warm cheese. Inside fried bread. Gah. Better than a mozzarella stick. They even have a Banana Nutella Frenchie. We didn't have a chance to try it, but will the next time we visit! *In my best Homer Simpson voice* Mmmmm....cheese. If you are visiting Omaha, which I truly suggest that you do (more to come in a later post), you can't miss this restaurant. 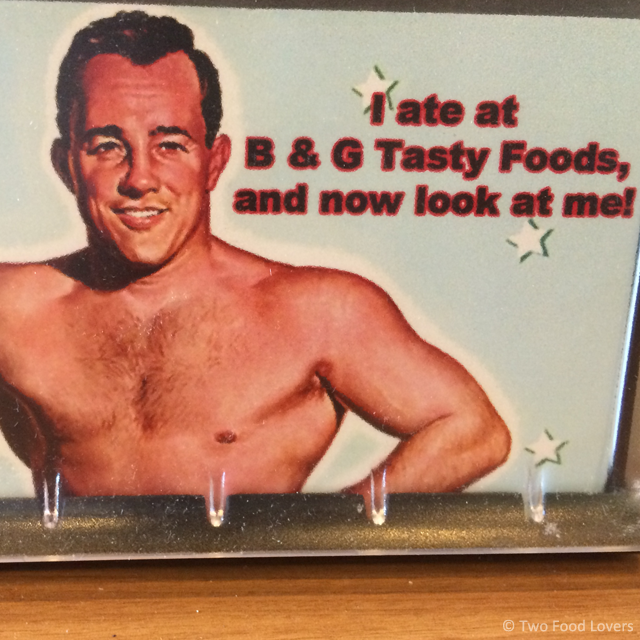 B&G Tasty Foods is inexpensive, delicious diner food wrapped in a 50's flair. Have you visited this Omaha gem? Let us know in the comments, on Facebook or Twitter (#EatLocal)! Check out their website for location & hours. Even better, take a look at their menu. Over and out, food lovers. No one likes a thief! Always feel free to share something you see and love on our blog, just make sure to give us a shout out. 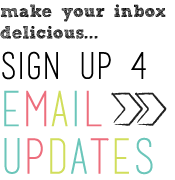 If you wish to reuse any content please email us. Additional copyright guidelines can be found on the "About Us" page.